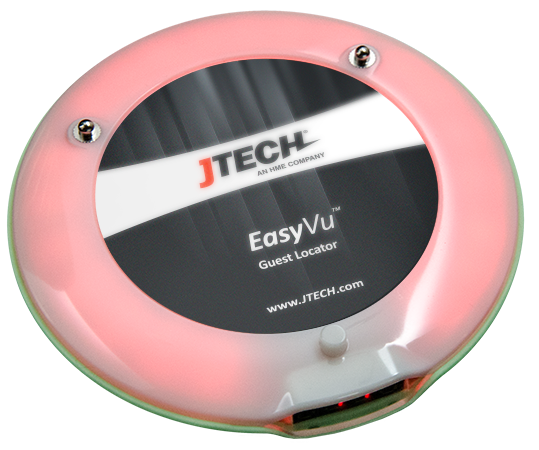 JTECH, An HME Company, has launched its latest guest location product, EasyVu™ for fast-paced businesses such as restaurants, hospitality and healthcare. EasyVu enables servers and staff to accurately locate guests and provide services quicker — leading to higher profit margins. We created a product that is super easy to set up and offers a feature-rich solution not only for guest tracking, but for guest paging and data logging as well. JTECH, An HME Company has launched its latest guest location product, EasyVu™ for fast-paced businesses such as restaurants, hospitality and healthcare. EasyVu enables servers and staff to accurately locate guests and provide services quicker — leading to higher profit margins. Precise table location technology is helping restaurants provide services and food delivery faster. Happy customers are return customers and that is especially true for the hospitality industry. With the fast-casual dining trend on the rise, restaurants are competing for speed and convenience. In healthcare, EasyVu™ provides operational benefits by enabling staff a reliable way to locate, track and page visitors and family members throughout the facility. 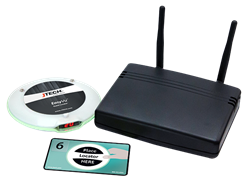 EasyVu™ is a highly accurate and easy-to-use guest location system using just four main components: a guest locator, a gateway, NFC location cards and EasyVu software. For convenience, customers have the option of adding a 2-in-1 Notebook Tablet with the EasyVu software preloaded or they can have it installed on their own laptop (must have Windows 7,8, or 10). An optional card writer is also available for those who prefer to program their own NFC cards on premise. EasyVu™ enables unsurpassed location accuracy and uses adhesive NFC location cards which customers can install and move anywhere in their restaurant, hospitality or healthcare facility. With the flexibility of EasyVu’s coverage, the system is ideal for both small to large locations. Another feature that makes EasyVu unique is the Data Log capability. As business grows, logging and capturing data is crucial to improving the customer experience. Hospitality and healthcare businesses can now analyze and make decisions based on performance data such as peak hours, average service speed and wait times. 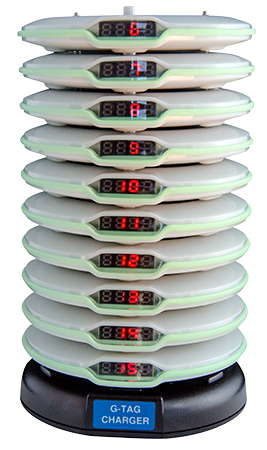 EasyVu™ Guest Location System is one of the most cost-efficient and feature-rich guest trackers on the market. The ease-of-use, flexibility and unsurpassed location accuracy makes this an attractive option for the restaurant, hospitality and healthcare industries. JTECH is a wholly-owned subsidiary of HM Electronics, Inc.(HME) and has been combined with HME Wireless to create the largest wireless messaging company in the world. JTECH provides integrated digital and guest management solutions to a host of industries worldwide.